Imagine a soulful weekend where you reconnect with nature, invigorate yourself with daily yoga sessions, and enjoy music and meditation in abundance. Surrounded by the majestic yet peaceful scenery of North Lake Tahoe, reset and relax before a busy summer season. 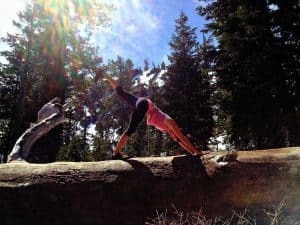 Hosted by Granlibakken Tahoe, a family-owned resort and retreat center in Tahoe City, California, this one-of-a-kind event is designed for those just starting their yoga practice and experienced yogis alike. Granlibakken is just a short walk from the breathtaking shores of Lake Tahoe, and is situated on 74 tranquil acres of National Forest land. Comfortable lodging and meals are available onsite, as well as a day spa and miles of hiking trails to explore. The full weekend of events is just $240, which includes access to all workshops and classes as well as meals. Explore Granlibakken's 74 acres with Ashley Aarti Cooper on an eco-therapy hike. Shawna West, the event organizer, says, “RAY offers a unique blend of therapeutics, yoga, meditation and inspirational teachings allowing each person a deep and true state of healing and restoration.” Tahoe has long been recognized as a premier destination for health and wellness pursuits. The abundance of outdoor activities available and the rustic beauty of the area naturally inspire an appreciation of the outdoors and a healthy lifestyle. Capitalizing on the talent and expertise of Tahoe practitioners and instructors, Granlibakken brings an event unlike any other to the yoga retreat landscape. Over the course of two soulful days, RAY 2017 offers workshops that range from an introduction to hula-hooping to a sound-healing meditation class. 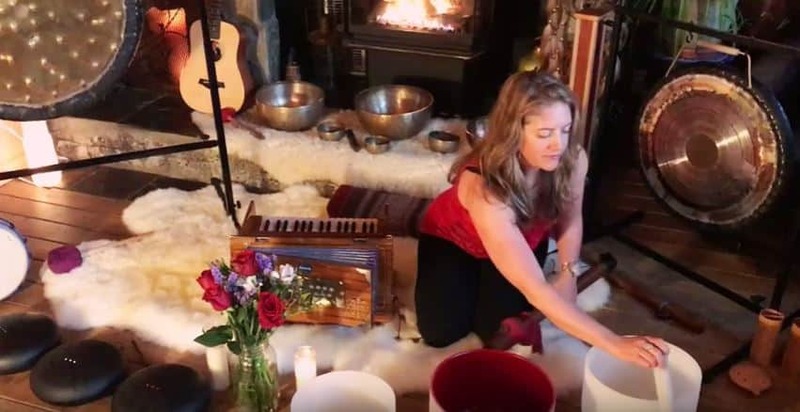 Join Emily Weer in a cacao ceremony followed by kirtan, a musical form of storytelling and meditation. Set your own Sankalpa, or heartfelt intention, through a relaxing Yoga Nidra practice hosted by Lauri Glenn. If inversions are your thing, you won’t want to miss the class taught by Meghan Ruiz that will help you to expand your practice and become more confident upside-down. Celebrating the many different modalities within the alternative health and wellness world, this event is designed to inspire, to teach, and to help attendees grow in their own practice. Ashley Aarti Cooper, one of the RAY 2017 event organizers, summed it up by saying, "North Tahoe - Truckee is a really incredible place. So many creatives and healers have made their homes and practices here. It is time that we open up the hidden secret of this side of our community to the rest of the world so that those who are looking for respite, inspiration, or a place to take care of themselves know that we are right here in their backyard." Ashley will be leading an eco-hike session, blending science and natural education as well as yoga and meditation to help participants see the Sierras through a different lens. Ashley has hosted and helped to organize many workshops and classes at Granlibakken Tahoe in the past, and is familiar with the many trails that intersect and weave through Granlibakken’s property. Her great respect and passion for the outdoors will shared with her fellow hikers as they enjoy the therapeutic benefits that spending time in nature can uniquely bring to a lifestyle. Enjoy a restorative sound healing class with Emily Weer. May is a gorgeous time to be in Lake Tahoe, with the landscape coming to life after a long winter, and the lake at its fullest. Wildflowers are in bloom throughout the area, and the days are long, sunny, and gorgeous. 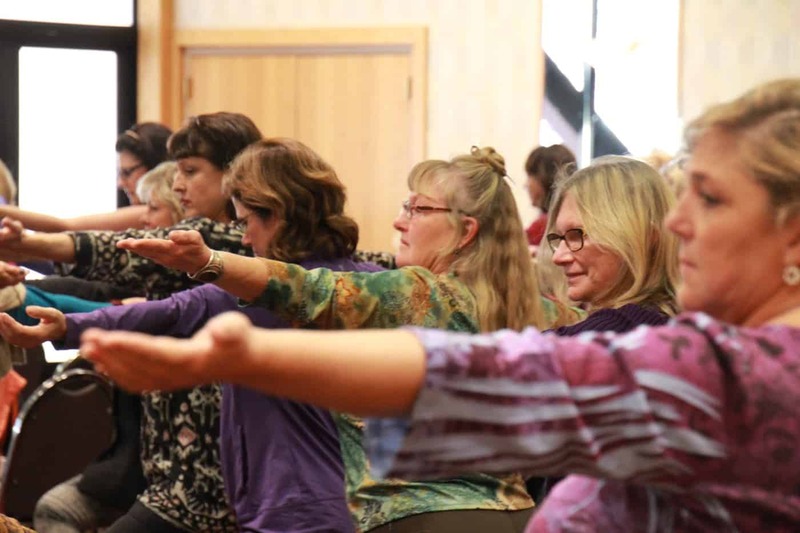 The Restorative Arts and Yoga Festival will be a wonderful time to appreciate the beauty of the Sierras while sharing a practice with Tahoe’s vibrant community of instructors and healers. From the towering pine trees to grassy meadows, and from Ki Gong to Vinyasa flow classes for all abilities, there is so much to explore inwardly and outwardly in Tahoe. RAY 2017 will bring the best of Tahoe to you, so that you can explore a new practice or meditation, or crystalize your existing intentions and expand your existing practice. 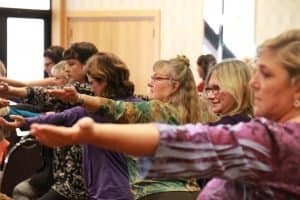 For those who are interested in other wellness offerings by Granlibakken Tahoe, be sure to check out their full Sierra Soul series of wellness events. With RAY coming up in May and the Wellness Weekend coming up in November, Granlibakken works to bring well-being to locals and visitors alike throughout the year. Granlibakken Tahoe also offers the perfect setting for your next retreat or event. With eco-friendly facilities that can accommodate groups of 4-400, an experienced sales and event coordinating staff, lodging onsite, and an unparalleled setting, your next retreat or event will be truly unforgettable. Find more information on wellness retreats in Tahoe and for the event schedule.